Diego Fuimaono ‘19 signed his letter of intent earlier this afternoon to play football for Southwest Minnesota State University. Fuimaono is listed in the Saxon roster as a 6’4’’ 235 pound tight-end and defensive lineman. He has been a key player for the Saxon football team and has started at tight-end for the past three years and defensive lineman this past season. 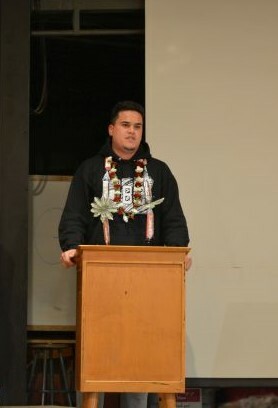 Fuimaono was apart of the Greater Valley Conference All-league team in his junior and senior year. He will be joining the Mustangs in Marshall, Minnesota hoping to improve on their 4-7 record this past season. Fuimaono will be playing tight-end for the Division II Mustangs in their Northern Sun Intercollegiate Conference (NSIC) as he hopes to make an early impact in collegiate career.